Travelling to Ballarat for business? Look no further! This Package is for one adult. Package Includes: One night's accommodation in our Standard Queen Room Fully Cooked Breakfast Morning Newspaper and espresso coffee to take away or have here. We also award Choice Privellege, Qantas Frequent Flyer & Velocity reward points for each stay. With our central location we are within walking distance to a wide variety of restauraunts and we also offer chargeback service with certain restauraunts. If you don’t feel like eating out take advantage of our room service menu delivering quality meals straight to your door! The City Views is business and luxury all in one! Unwind in our modern and spacious Standard Queen Room which features a queen size bed and a 32” LCD TV. 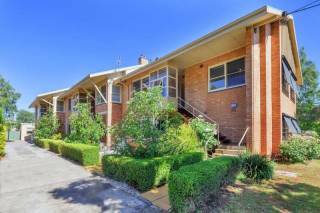 Enjoy the benefits of wireless internet, free Foxtel, free parking and full access to the Indoor Heated Pool. This room is perfect for all travellers! Rates 1-2 people. Max. Occ. 3. Extra guest $25. Treat yourself to our Deluxe Queen spa room which boasts a queen size bed, 32” LCD TV and a corner spa. Enjoy the benefits of wireless internet, free Foxtell, free parking and full access to the Indoor Heated Pool. Prepare to enjoy! Maximum occupancy is 4 people. Additional guest/s $25. Cots $10. Unwind in our modern and spacious Standard Twin Room which features two queen size beds and a 32” TV. Enjoy the benefits of wireless internet, free Foxtell, free parking and full access to the Indoor Heated Pool. This room is perfect for all traveller type! Rates 1-2 people. Max. Occ. 4. Extra guest $25. Cots $10. Enjoy the comfort of our beautifully appointed Standard Queen Room! Bring the family and escape! Enjoy the space of our Standard Family Room which features one queen size bed and a 32” TV in the first room and 2 single beds and a 22” TV in the adjoining bedroom. Indulge in family fun at the Indoor Heated pool then tuck the kids in and settle in for a movie. Enjoy the benefits such as wireless internet, free Foxtell and free parking. Rate is for 1-4 people. Max. Occ. is 6 people. Extra person $25. Cot $10. EXPLORE! 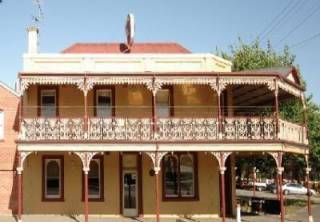 Includes Accommodation in our Standard Queen Room, 2 tickets to Sovereign Hill and 2 tickets to the Ballarat Wildlife park. Did we mention we have an Indoor Heated Pool? Unwind in our modern and spacious Standard Queen Room which features a queen size bed and a 32 LCD TV. This package includes your accommodation, 2 adult day passes to Sovereign Hill and fully cooked breakfast for two! Comfort Inn & Suites City Views is the perfect setting for that romantic break away! 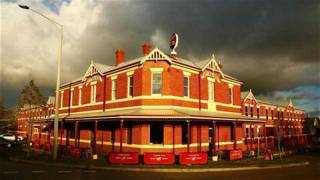 •One night's accommodation in a Deluxe Queen Room •Fully Cooked Breakfast for 2 guests •2 Adult Ballarat Passes, which include entry to Sovereign Hill, The Wildlife Park, Kryal Castle and M.A.D.E. plus bonus offers to Ballarat Ghost Tours, Blood on the Southern Cross, Gold Rush Mini Golf, The Tangled Maze, Art Gallery of Ballarat and Bird World! Take time out! Relax and enjoy your break with the kids. If it's pure family fun you seek we have it all – everything you need is close by including cafes, restaurants and our best attractions! Visit Sovereign Hill, then enjoy our indoor heated pool/spa, order dinner in and then pop the kids into bed to watch a movie! Do you want to stay two nights? Contact us direct for our special offer! The Comfort Inn & Suites City Views is one of Ballarat's contemporary properties located in the heart of the city on Historic Bakery Hill. The Four Star property is perfectly positioned within the central business district across from the Bridge Mall shopping precint and within walking distance to restaurants, hotels, day spas, antique shops, the art gallery, cinema and theatre. 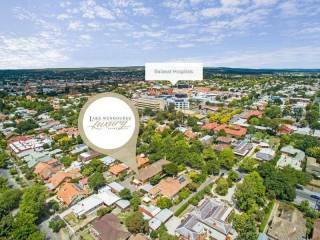 Soverign Hill, the Wildlife Park and Lake Wendouree are only a five minute drive away. The beautifully appointed rooms feature all the modern comforts, including wireless broadband internet and free cable T.V. The property also features an indoor heated pool, guest laundry, flat screen TVs ( USB capabilities) and DVD players available at reception. The Comfort Inn & Suites City Views is affordable luxury! The Comfort Inn & Suites City Views offer spacious contemporary accommodation. Guest room options include Standard Queen, Deluxe Queen, Executive King, Standard Family (two bedroom) and Deluxe Family (two bedroom) with almost half of our rooms featuring corner spas or spa baths. All guest rooms are beautifully appointed and feature all of the modern comforts, as well as flat screen TVs ( USB capabilities), free cable television (AUSTAR), two free new release movie channels and access to dial up and wireless internet connection (high speed). All air-conditioned rooms include ironing facilities and electric blankets. The rooms also feature an electric kettle, toaster, microwave and refrigerator. Some offer a flat-screen TV and a spa bath. DVD players and PlayStation2 consoles are available for hire. 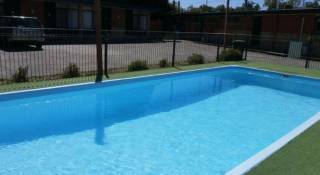 The property features the following additional services and facilities. Comfort Inn & Suites City Views has a strict no noise policy therefore any noise complaints will result in a $30 fee applied to the accommodation account, any further infractions will result in instant eviction without refund. These policies ensure a high standard of accommodation is available to our guests. Internet: WiFi is available in all areas and costs AUD 11 per 24 hours. Parking Free! Free private parking is possible on site (reservation is not needed).